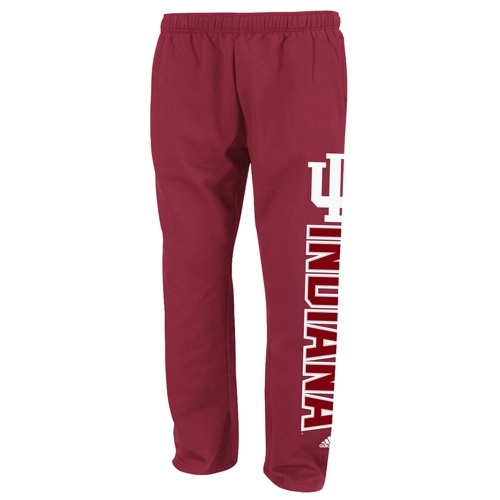 These comfy Victory Red ADIDAS sweatpants feature a down the leg IU HOOSIERS logo in two tone white and grey ink. They have side pockets, a drawstring waist, and an open bottom. 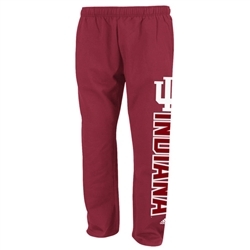 Great for lounging or working out! Unisex (mens) sizes.